Why the settlement? 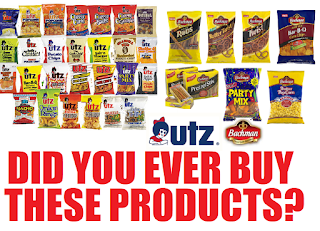 The lawsuit alleges that the Defendant violated certain laws in labeling, marketing, and advertising of certain Utz and Bachman branded products. Specifically, the lawsuit alleges that through a nationwide advertising campaign, the Defendant sold its products by advertising that they were “All Natural.” The lawsuit alleges that the products are not “All Natural” in that they contain ingredients that are chemically derived, heavily processed, synthetic, and/or artificial, and/or ingredients containing and/or derived from Genetically Modified Organisms (“GMOs”). Utz denies any and all wrongdoing of any kind whatsoever, and denies any liability to Plaintiffs and to the Settlement Class. The claim period ends on 7/28/19, that means you will not hear back from them for AT LEAST A YEAR. Please be patient, these things take a long time to make their way through the courts, but once it is settled you will get your money.